What, no Thunderbean Thursday? Our dear friend Steve Stanchfield is fully occupied this week, dutifully wrapping up the school semester at the College For Creative Studies in Detroit, where he teaches animation, so he’s handed over today’s spot for some fun Cartoons On Film updates from yours truly. I’m glad to be back posting here, as it’s been a long time! 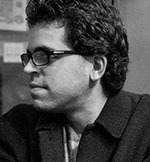 Five years ago this June, I launched the Bray Animation Project website. The site has served two important functions: based on feedback from casual online surfers and academics alike, it has been a helpful educational tool; second, its existence online has helped to promote the historical significance of the Bray films, and most thrillingly, has also helped lead to the discovery of more of the obscure films, and even some original artwork. 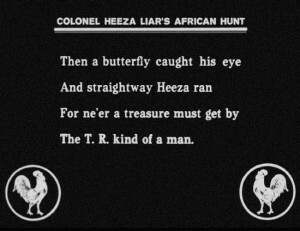 I’m an optimistic film archivist and firmly believe there are *many* legendary animation rarities out there just waiting to be found, some of which we consider ‘lost’ films. 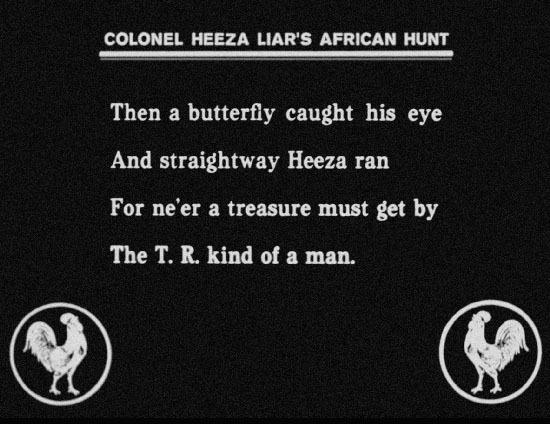 It simply takes time, good sleuthing skills, an abundance of patience, and a bit of luck to make new rediscoveries. 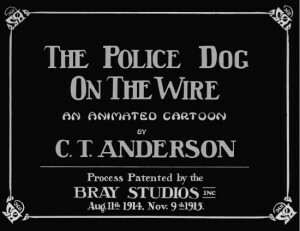 That leads me to share some fun news about a couple recent additions to the Bray Animation Project archives. These are two rare and obscure Bray cartoons that I wasn’t quite sure I might ever see: When Knights Were Bold (L.M. Glackens, 1915) and Otto Luck to the Rescue (Wallace Carlson, 1917). Since many early films were reprinted for nontheatrical rental in later decades, there’s often a chance of finding smaller gauge copies (i.e. 16mm) even when the original 35mm nitrate negatives and prints were long-ago discarded or have likely deteriorated by now, if any still exist at all. In the case of these particular finds, the Glackens subject was acquired in the form of a 28mm print—28mm being a very early “safety film” format for nontheatrical use, popular in the 1910s and 1920s, but virtually obsolete by the 1930s. The Wallace Carlson “Otto Luck” cartoon was printed up as part of the famous Kodascope Libraries, which was basically the 1920s equivalent of Blockbuster Video. The print is on 1925 stock, looks and luckily still projects beautifully to this day. 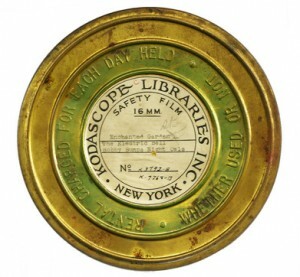 Kodak, at the time, collaborated with various film studios to reduce their films to the 16mm format and offer them for rental or outright sale to interested nontheatrical parties. That meant, in the decades before home video, if you wanted to rent a projector and films to show at a birthday party or for your school or church, outfits like Kodascope and many other such entities had older (and sometimes current) films on hand to rent out. 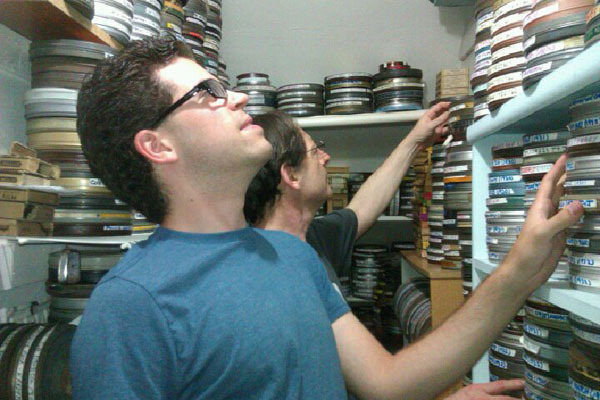 While I’ve acquired films that were literally pulled out of midwestern barns after 90 years of being forgotten, these particular finds happen to come from other longtime collectors who own all kinds of films; not specific to any one genre. This goes to show that films of this nature are sometimes already held in private or institutional archives of ‘general’ film collections, and simply remain there quietly and without much attention until they find their way to niche specialists who can properly identify the films, understand their significance, and are specializing in and heralding specific genres, such as in the case of my working exclusively with early animated films. 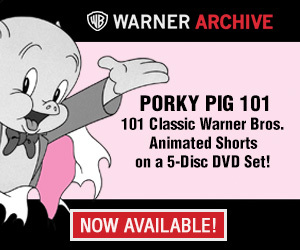 It’s my hope that these—and many other cartoons in the collection—can make their way to home video in the future. Fingers crossed. In the meantime, the long-awaited initial Blu-ray and DVD of new Bray Studios cartoon restorations will be available in the coming weeks, and that’s a huge relief. There were several factors, most of which were out of my control, that contributed to delaying its production and release for several months. Either way, it’s so satisfying to see the project come into the final stretch of wrapping up. There will be more news about its general release here on Cartoon Research in the near future — but for now, here are a couple fun teaser images and videos for you lucky readers! P.S. See Cartoon Restorations LIVE! This summer I will be presenting a special theatrical screening of my film restoration efforts at the Animation Block Party film festival. 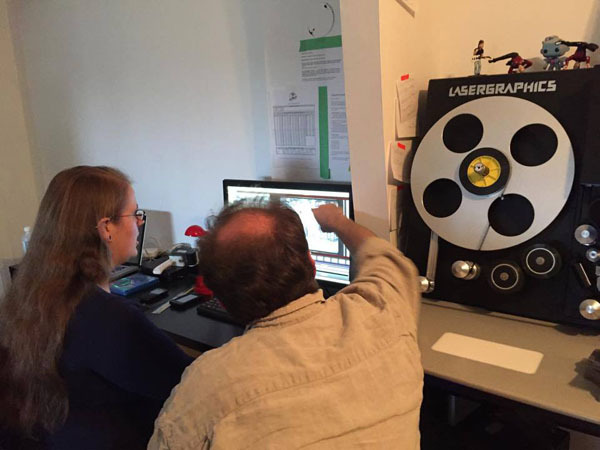 I will highlight the film preservation process during a Cartoon Restoration Showcase, Saturday July 30th at BAMcinématek, featuring a Q&A with my moderator, Cartoon Research editor Jerry Beck. BAMcinématek is located at the Peter Sharp Building, 30 Lafayette Avenue in Brooklyn, NY. 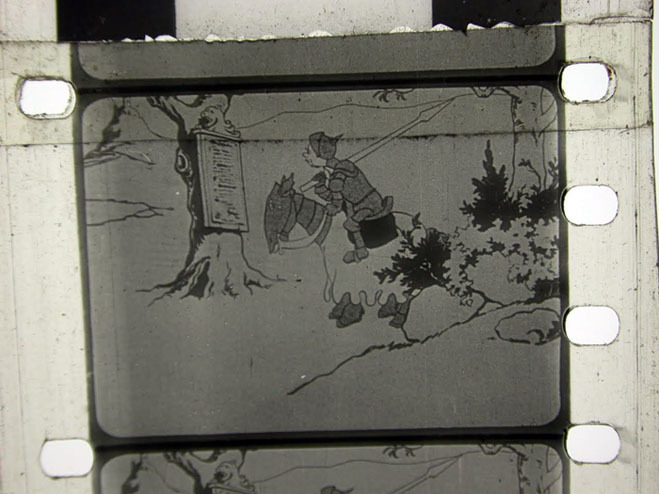 The ABP 2016 Cartoon Restoration presentation will include exclusive new digital restorations of films from Max Fleischer and Bray Studios. 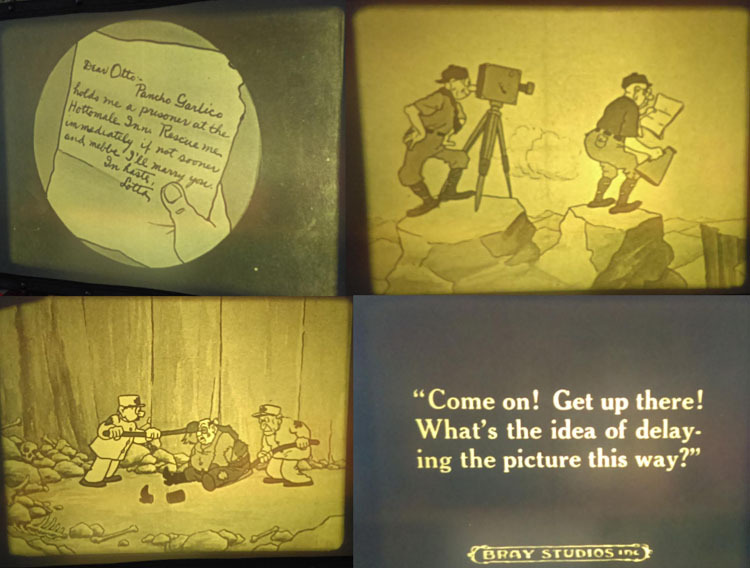 Keynote titles include Diplodocus (J.R. Bray, 1915), Bobby Bumps’ Pup Gets Flea-Enza (Earl Hurd, 1919) and Dinky Doodle in The Pied Piper (Walter Lantz, 1924). So once again – The 13th annual Animation Block Party is July 28-July 31 2016 at Rooftop Films & BAMcinématek. Don’t miss it! Wow! Can’t wait till it comes out. I want to commend film collectors like Stathes and the folks at Thunderbean for all you have done. It means a lot to us who love vintage animation. It means a lot to us, and our work wouldn’t be possible of course without the public’s support! I understand that this isn’t the “expertise” here, but… what the heck! I might as well ask… and start a little conversation here. Has there been much attempt at preserving some of Bray’s LIVE-ACTION films? 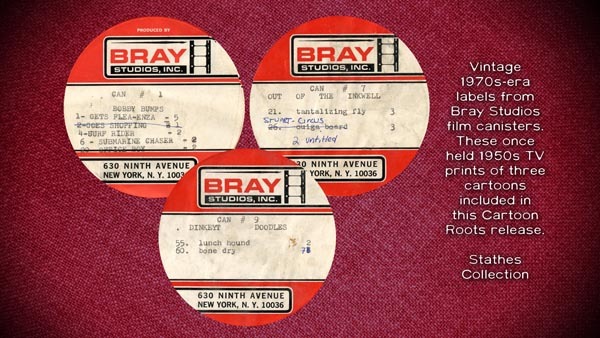 Bray’s studio made many great segments for Paramount and Goldwyn’s “Pictographs”, as well as nature-reels for Educational Pictures (a.k.a. the Naturgraphs), sports-reels for Columbia and, of course, the 16mm school market at least through the 1940s. It would be interesting if somebody could do a filmography checklist on those, despite the fact that not all of the material was registered for copyright and, thus, wouldn’t necessarily be included in a reference like Motion Pictures, 1912-1939 (Catalog of Copyright Entries, Cumulative Series) or received mention in the H.W. Wilson Educational Film Guides of the thirties through fifties. I’ve posted about live-action shorts on the “deceased” Classic Film Union and on the present-day Turner Classic Movie’s threads. Sadly, the live-action short subject rivals the newsreel as the least appreciated and least preserved of filmdom. Unless the Three Stooges appear in it or the news event is one that modern viewers are all gung-ho about, you have a pretty good chance that a film was forgotten and likely lost. At least one of the conglomerates, Time-Warner, has responded to all of the pressure from the TCM viewers to release the MGM FitzPatrick Traveltalks on DVD sets, so… yeah… there MAY be a “cottage industry” for even Bray’s instructionals provided they get some good promotion. Animated cartoons are rather lucky, despite how many silent era titles were already lost by the time television revived the old cartoon. As long as there are drawings moving about and some imagination involved, SOMEBODY was interested in saving it for posterity. Of course, it unlikely that a BluRay “Complete Collection of Bobby Bumps” will ever be possible, but at least enough of him has been preserved so that he is not forgotten. This is an excellent point of interest. While I do specialize in the animation, I’m actually interested in everything Bray produced or released. I have a moderate collection of their animated educationals, live-action educationals and comedies, which I’ve collected casually over the years, but not quite as large a collection when compared with the cartoons. 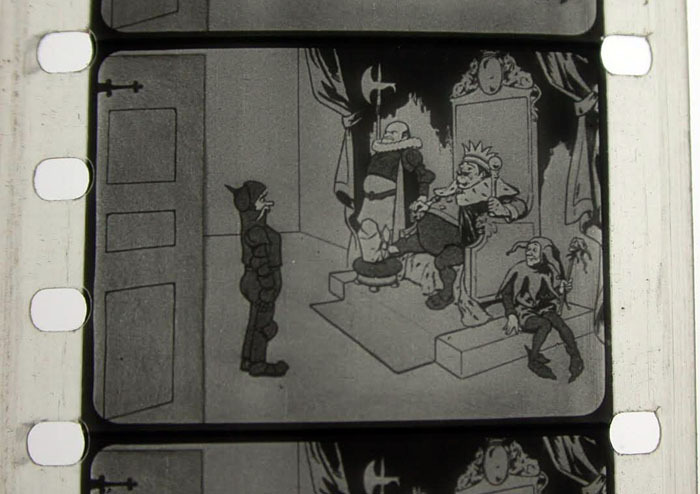 The problem, of course, is that these films were simply not as popular as the theatrical cartoons, so they were printed up considerably less. 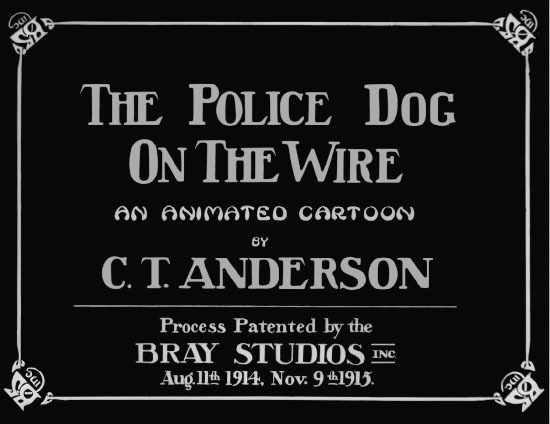 The survival rate has to be worse than the cartoons as well, because there were probably hundreds more live action subjects than there were cartoons–in the 1916-1921 Paramount and Goldwyn days alone, the weekly Bray magazine reels contained 2-3 live action subjects with a (usually) sole cartoon. This doesn’t include all the films produced for the government or works commissioned by other companies and yes, sadly, surviving studio records for these subjects is not quite as good. I haven’t really had the time or resources to put as much focus on these other films but in the long run, I’d love to have at least a decent filmography of them out there…in the meantime, a few have indeed been preserved by a handful of archives, and some are viewable online. We are rather lucky today in that there is plenty online to search. Gone are the days when you were TOTALLY dependent on one special library that had one special book you needed. As you well know already, you can find a cluster of H.W. Wilson Educational Film Guides, Educational Film Magazine, Motion Picture World, Motion Picture News, Film Daily and Motion Picture Herald at https://archive.org and just read each in “Full Text” mode and search with your Ctrl + F keys the word “Bray”. Granted, a title like BUILDING A BOX BEAM SPAR (1944) or the hour-long GETTING THE MOST OUT OF RETAILING (1920) may not “wow” most movie buffs, but they are probably worth adding to some online list in hopes that somebody might find a copy floating around and, no doubt, there will be something interesting to discover. I also used many of these same references to find every single Burton Holmes travelogue (as a title to list, if not a film to watch… unfortunately), since he was just as prolific with travel shorts as Bray was on… well, practically everything else… ha ha! Maybe… *wink wink*… in another year or two, The Bray Animation Project will also have a “work in progress” page or pages with a title “check list” inventory of the live-action’s. Sometimes when I worked on certain lists and posted them online, I would get private messages or emails from other sleuths who found more “missing titles” referenced in various periodicals I didn’t even know existed. I myself am very interested in the films Jam Handy did for Bray. I take it these were live action and animated films? I am curious in seeing how these films pair up with several articles he wrote on using motion pictures for educational, industrial and business Purposes around the same time. Great job Tommy! I can’t wait to check it out. I’m really excited for this puppy. 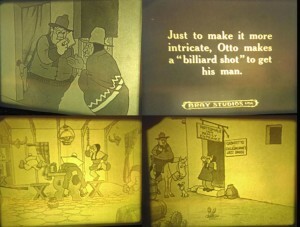 I never expected to see screenshots from an “Otto Luck” cartoon, BTW! Which one is it? Gah! I never did get that rare collection of Bray political cartoons for you to see. I have Gerstein’s copy of your Hurd monograph here, but it would indeed be great to see/copy the originals. Much appreciated, and no rush! Tom, is the music written specifically for the films or “Carl Stalling-ed” from different contemporary tunes with connecting pieces added? I’ve seen some silent collections (like Buster Keaton) where new scores (with a few samples from earlier music) were written for the films. However, I have a Charlie Chaplin collection where there was little or no care given to the music and slapped on to the films so long as they ended when the film ended. With all the care given to the images in this collection, I’m sure the music will be first-rate. Great question, Art. The majority of the films contain a mixture of new piano/photoplayer/ensemble scores (which do riff largely on old period songs) by Robert Israel and Charlie Judkins. One has a 1930s reissue soundtrack, and a couple others have carefully edited tracks comprised of old 1900s cylinder recordings for tunes plus 1920s-30s era SFX. It’s a lot of fun! I personally think you are running it too fast in your example, though I am reluctant to wade into the never-ending debate about the proper projection speed of silents.